Sacramento Police are investigating a series of drug store robberies over the last 10 months several with the suspects operating using similar modus operandi. In each of the robberies multiple suspects enter the stores during business hours and demand controlled narcotics from employees. In several of the incidents, the suspects have used hoods to conceal their identities. Investigators have discovered that in many of the robberies, the suspects have used waiting cars to flee from the area. While the vehicle descriptions have been similar, detectives do not believe that all the robberies have been committed by the same suspects. 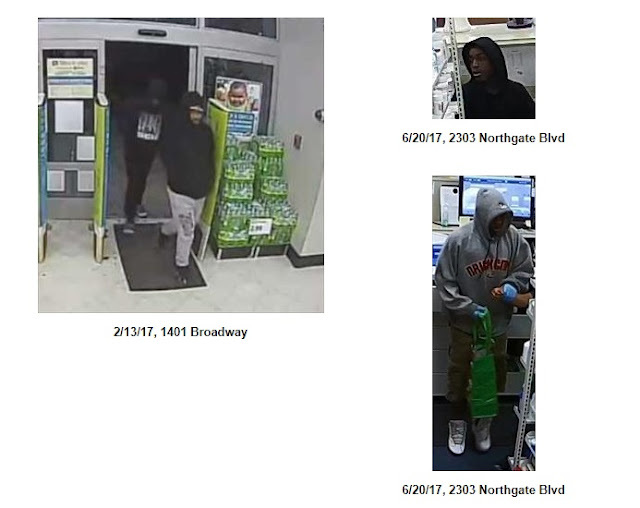 The attached photos were captured by surveillance cameras in the area of several of the robberies and are specific to incidents that occurred in the city of Sacramento. 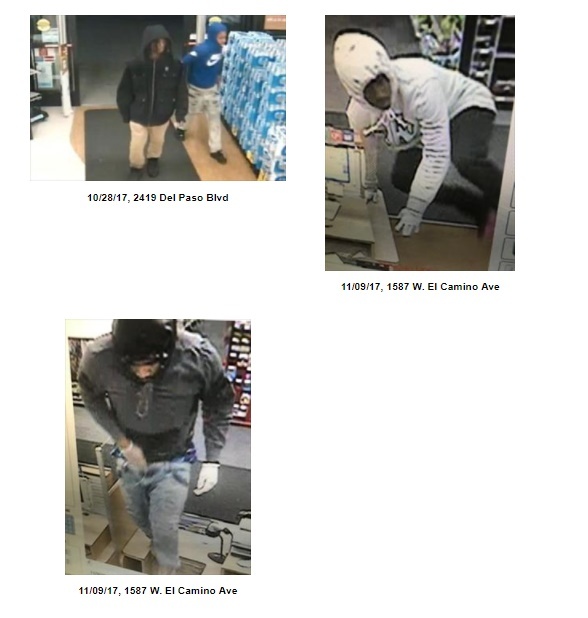 The suspects are described as:male Black, late teens to early twenties, wearing different colored hooded sweatshirts. Often, the suspects are wearing gloves and carrying reusable grocery bags. Anyone with information regarding these robberies or the identities of the suspect are asked to contact Sacramento Police dispatch center at (916) 264-5471, or Sacramento Valley Crime Stoppers at (916) 443-HELP (4357) or submit an anonymous tip using the free “P3 Tips” smartphone app. Callers can remain anonymous and may be eligible for a reward of up to $1,000. No Comment to " Sacramento Police Investigating Series of Drug Store Robberies "